Our Piyo Piyo pure water wipes are great for any little one mess. Cleaning a newborn baby's delicate skin requires the mildest, gentlest care possible, to avoid skin sensitization problems. Why not provide nothing but the best for your little one? • Pure Water Baby Wipes are gentle to use on baby's delicate skin. • Containing only purified water, plant extracts, and moisturizing agents, these hypoallergenic wipes are soft and safe to use on baby's face and thick enough for diaper duty. • Flip top opening to retain moisture and to ensure each wipe is as fresh as the last. 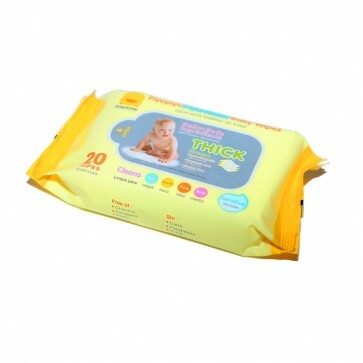 Piyo Piyo Baby Wipes 80 pack also available.